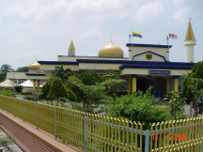 Perlis is a state located south of Thailand and is the smallest state in Malaysia. Its latitute coordinate is about 6o30'N and longitude coordinate is about 100o15'E. Perlis has population of 218,000 with 80% Malays, 10% chinese and 1.2% indians. Majority of its people speak Bahasa Malaysia / Melayu. As for chinese dialect, I guess most (I mean chinese people) will understand Hokkien and Cantonese. Perlis has a land area of 800 km2. Near its border with Thailand is a small range that has some caves in it. 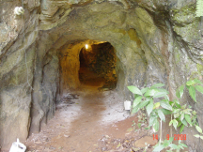 In fact, Gua Kelam or Dark Cave has a track through the mountain and was widen by a British Resident in 1937 to carry out tin from the other side of the mountain. This range is famous for the precious stones found around the mountain. Other than this range, It is a flat land used to plant paddy and other plants. There is a man-made lake called Timah Tasoh somewhere in between Kangar and the range. 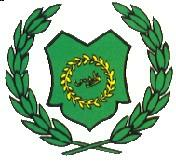 The capital of Perlis is Kangar. 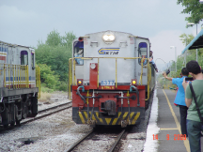 I did not go to Kangar because I went by train and stopped at Padang Besar. Taxis are available with many servicing people going to Thailand. However, the taxi did not go on meter but the driver was quite ok. I took a taxi to Kaki Bukit because I wanted to go to Gua Kelam. Transportation in Kaki Bukit was not good. I wanted to go Kangar but I had to wait for about 1 hr and 15 minutes before a bus to Kangar arrived. 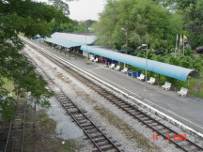 However, I did not take the bus because I had already called a taxi to take me to the Royal town of Perlis, Arau because the is a train station there. On the whole, public transportation was not good. You need to have money to travel or lots of time. Luckily Perlis is not big. As for places of interest, I think the northern part of Perlis would be quite interesting. Firstly, the Perlis State Park is near by. 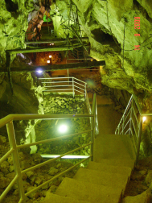 This park will be intersting for cavers. 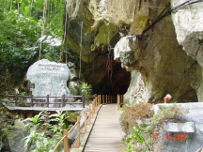 Gua Kelam or Dark Cave is just nearby. This cave has hanging bridge for people to walk. 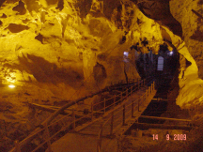 For those interested in caving, Wang Burma Cave is a popular place to see stalactites and stalagmites. 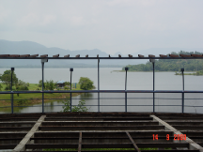 For those intersted in just relaxing and fishing, Lake Timah Tasoh will be a nice place to go. If you are into shopping, visit Padang Besar or Wang Kelian Sunday Market. There is a duty free shop at Padang Besar but if you want to buy goods such as liquor and cigarette, you may need to show prove of staying outside Malaysia for a certain time. I went to 3 places in Perlis only. Arau is a small town and if you want to visit the Royal Gallery, you need a written permission to go in. Other places which may be interesting are Kuala Perlis where you can visit Kota Kayang Museum or take a boat to Langkawi. Another place of interest would be Snake and Reptile Farm which is about 10 km from Kangar. This place has snakes, crocodiles, iguanas, etc.